Yes, there is a ton of work you can do on your family tree online. Ancestry, FamilySearch, Geni, and others make it incredibly easy to get very far up your tree while sitting at your computer in the dark until 2:00 in the morning. second cousins of your parents and grandparents. You are elated. You share this discovery with your father and he says, "Oh yes, of course I know cousin Ronnie. We went to camp together every summer!" Or something to that effect. And, then he goes on about Ronnie's sister who you know nothing about. When all else fails, and you are down to your absolute last resort, it might be time to talk to your family. I'm not talking about distant family either. My dad's cousin is a treasure trove of family history and pretty much knows something about every hard-fought discovery I've ever made in that part of the tree. Perhaps I should just sit down and talk with him once in a while? Perhaps? 1) Be Prepared: You'll need to be prepared it two ways. The first is that you should have some idea of what questions to ask them. The second is you need to be prepared to go off-topic. This is okay, and will often lead to even more treasure that you didn't even know existed. You might even want to prepare a list of people to talk to, and create simple one-page family tree cheat sheets to share with them. Start with the oldest and frailest relatives first. No reason, just trust me. 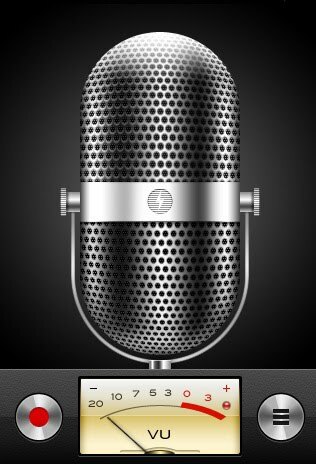 2) Record it: Video is best, and there are a lot of audio recording apps on your phone if they don't like video. Record it all as you'll want to replay it once you finally start to research that off-topic area that they brought up as they avoided your direction questions. 3) Use Photographs: My uncle doesn't know anything about our family history. When I ask him to tell me a story, he claims there isn't anything much to tell and that it's all been told a hundred times. However, if I put a photograph in front of him, he will chat about it and all the surrounding facets for an hour. You need a conversation starter. If you have many to choose from, try to find one from the time and place that you most want to learn about. 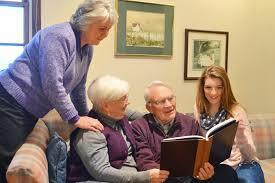 4) Watch the Clock: Don't go on and on endlessly talking about family history. Be respectful of their time, and their attention span. Luckily, most people love talking about themselves, but it's still a good idea to keep it to an hour or two. This will ensure they won't dread your next visit or call! 5) Thank Them: Obviously. Be grateful. Follow-up with something new to share with them that you found based on their help. Show them that their memories matter and that they are really helpful to your research. Oral history is a fascinating part of family genealogy that many of us leave until it is too late. Do you know what your great grandfather's favorite dessert was? Or song, or book? Do you know his personality; was he kind or stern? Do you know any of your grandmother's secrets or wisdom? Here are 150 questions to get you started. Just How are Related to Each Other Again?